Over the past two and a half months, the truckers have also learned to hold rallies, organize alliances, and produce visual propaganda. Truckers have been coming from other cities to see the camp firsthand. Two truckers from Kursk were impressed. Russian truckers will hold a nationwide strike from February 20 to March 1. The protesting truckers are convinced that toll roads for trucks are just the tip of the iceberg. The new tariff will disrupt the cargo transportation system as it now exists, leaving it to the monopolists. Many drivers have first heard about the truckers’ protest and the fact they could join it from the Khimki activists. They rarely use the Internet and don’t know any reliable news websites, while the protest has not covered by TV news channels. Those who have not visited the camp believe the truckers’ protest will peter out. But how can it be expanded if the truckers are unable to appear on TV regularly? The truckers have given us an example of how not to be afraid of speaking out against lawless decisions by the authorities. Don’t they deserve our help publicizing their cause? 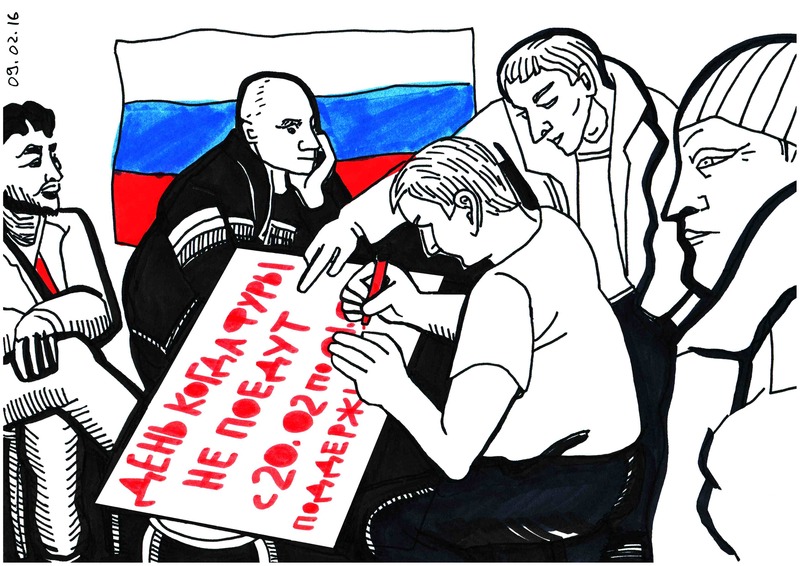 Activists from the Khimki camp have held meetings in many cities at which they shared their self-organizational know-how. 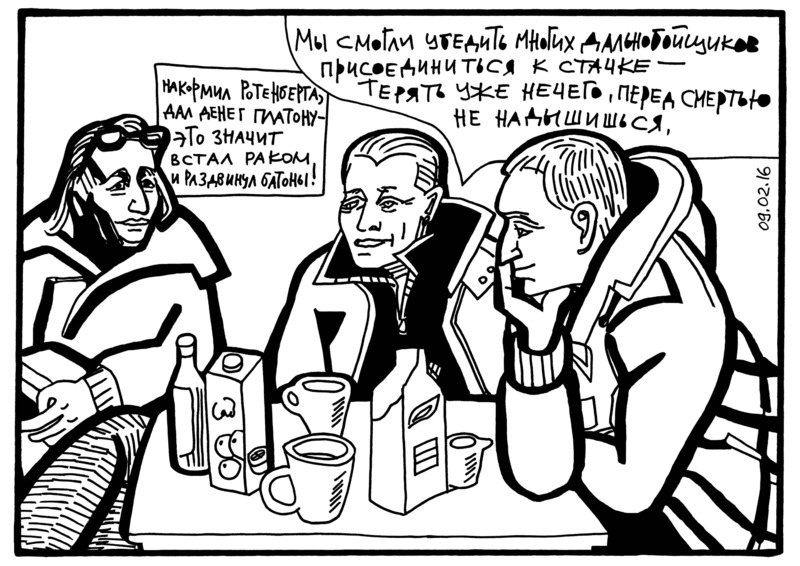 “In the regions, they want to see truckers from Khimki, because they trust us,” say the activists. Money is needed for additional organizing trips. If you are able to support this important cause, you can find the details of the activists’ bank account here. 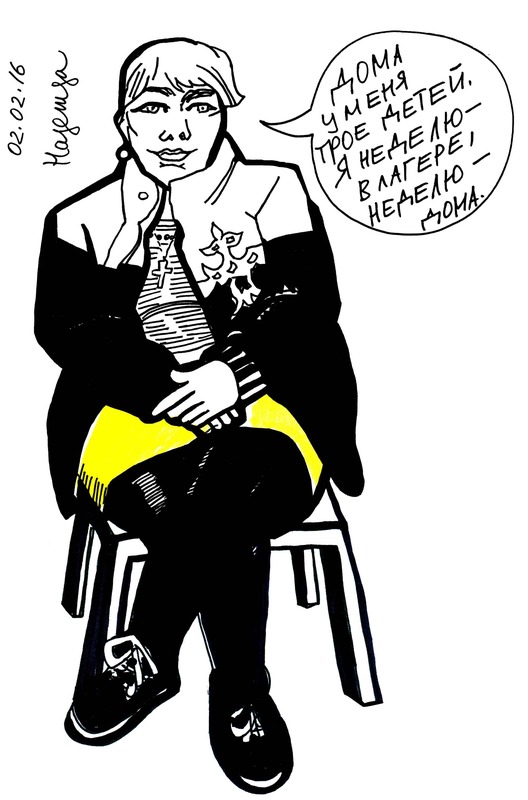 Nadezhda, who is from the Vologda Region, used to work as a manager in the housing management system, but left “because the whole business is dishonest.” She owns two trucks. She has been at the camp since day one. 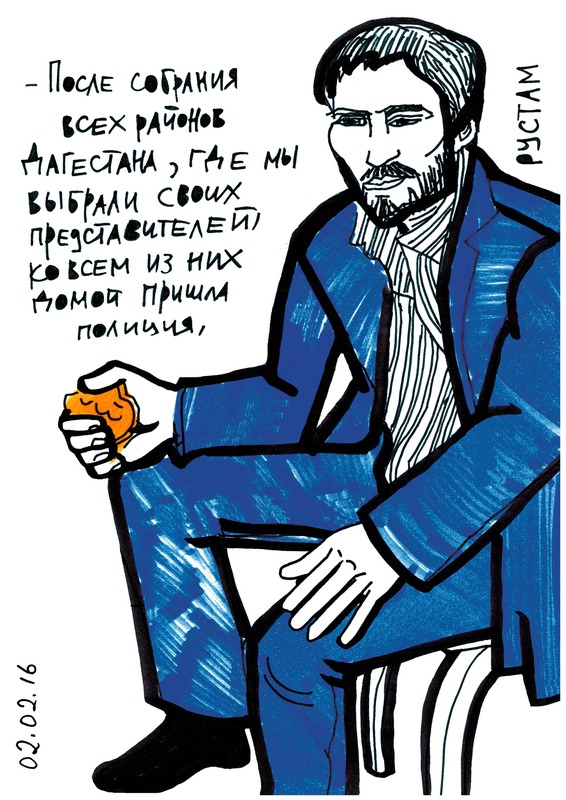 “I’m grateful to Plato for helping me meet such a variety of people here,” says Nadezhda. Rustam Mallamagomedov became the interim head of the Union of Dagestan Truckers. 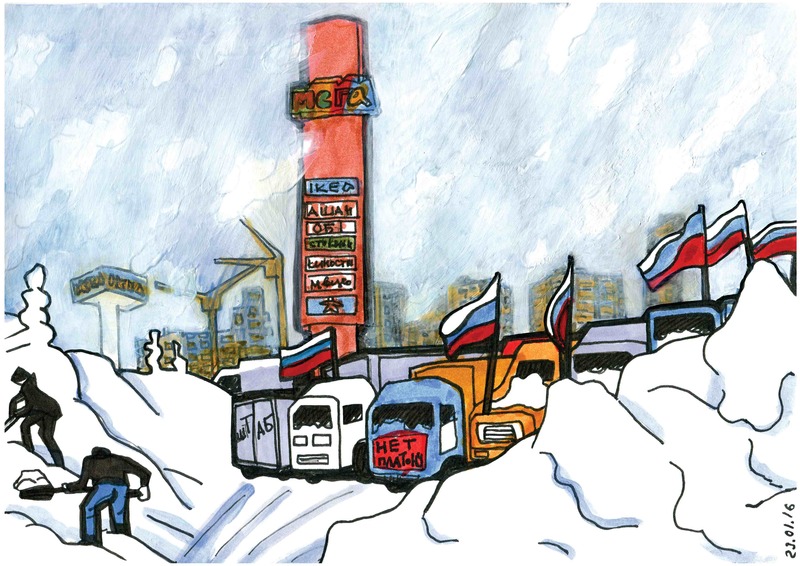 Truckers’ unions are now being formed in many Russian regions. 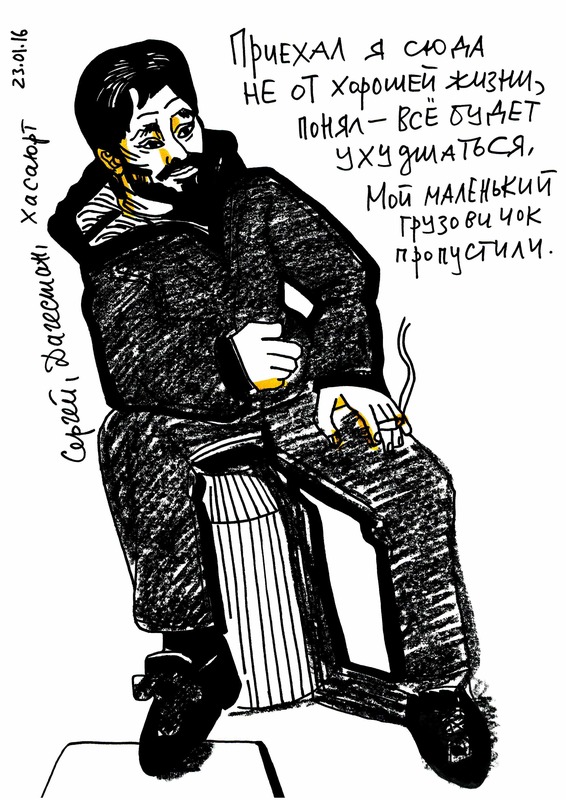 Sergei, a trucker from Dagestan, told me this story in late January. I met him again the other at the Khimki camp. He was cheerless. Sergei doesn’t know how he’ll survive. The country is in the midst of an economic crisis and there are no jobs to be had. The camp gets visitors every day. Some folks bring the activists hot food, while others bring them diesel for their trucks. Still other people give lectures and stage improvised concerts. 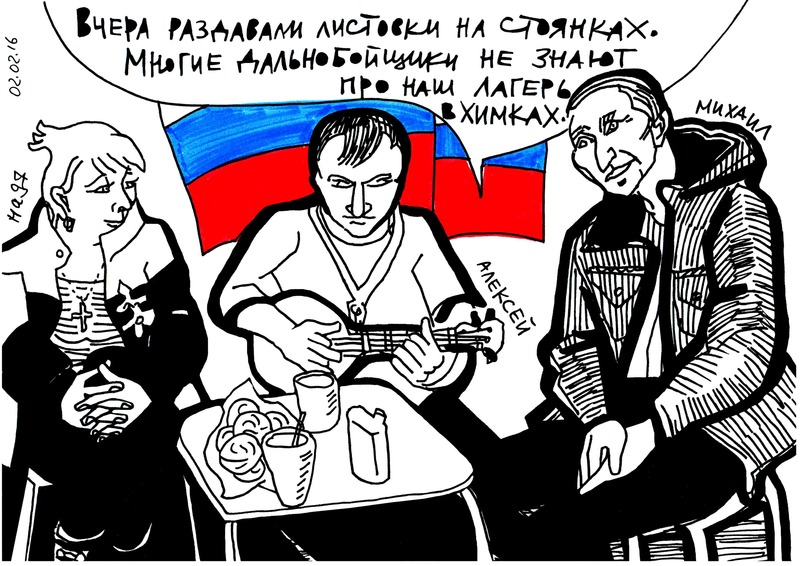 Khimki residents invite the protesters to their houses to take showers and wash their clothes. The majority of those who come to meet the truckers later become regular visitors. How do you feel about the truckers’ protest? It would be interesting to know your opinion. If you support them, then how do you show your support? If you don’t support them, then why not? What would have to change for you to support them? 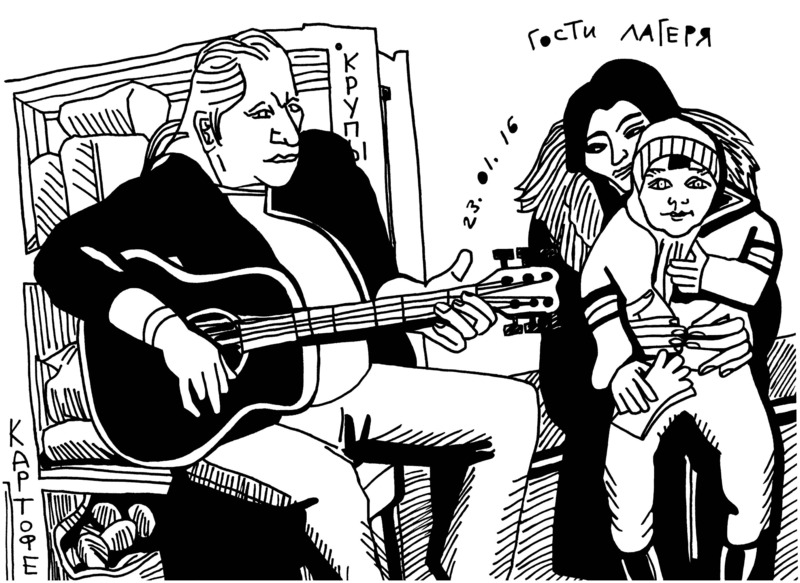 And what could inspire you to travel to the Khimki camp and meet the truckers? See my earlier coverage of protests by Russian truckers against the new, draconian system of freight haulage tolls known as the Plato system. “Trucker, You’re Not Alone! Nationwide Strike, February 20-March 1, 2016.” Designed by Victoria Lomasko, the poster is a stylized map of Russia specifying the kinds of strike and protest actions planned by truckers in particular locales.